The Kimberly-Clark Australia Cosmopolitan Fours Day was held on Sunday 27th April 2014 under blue skies & a light breeze at the Millicent Bowling Club. 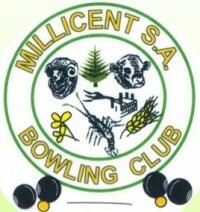 This annual event saw bowlers travel from Mt Gambier, Naracoorte, Kalangadoo & Port MacDonnell to take part in this open gender format that is proving very popular. Tournament Director Malcolm Wright & Vice President Steve Carnellor welcomed everyone to the greens & thanked Scott Whicker for the support the local bowling community has received from Kimberly-Clark over the years. Play was held over 3 games of 12 ends with accumulative scores deciding the winners, & the winners were Bill Burdon, Wayne Burris, Rosalie Burdon & Lindsay Warneke with Mt Gambier’s Mick Spong, Frank Lindner, Leanne Henschke & Geoff Pollins taking second place honours. Third place went to the team of Maureen & Ed Fitter, Terry Barnes & Rob Chambers. Presentations were announced by Malcolm Wright & given by Scott Whicker. Categories: Beachport, Bowls, Events, Human Interest, Kalangadoo, Kingston, Location, Millicent, Mt Gambier, Sport, Wattle Range | Permalink.